In a business like ours, there’s never a dull moment and we like it that way. We love to help our clients showcase their organizations and businesses in creative ways. One of our favorite ways to do this is by combining our talents to make super cool stuff. We realize a screen printing company with a wood shop might seem like an odd mix. In truth, when we first started out, we never expected to have an entire department dedicated to custom woodwork. 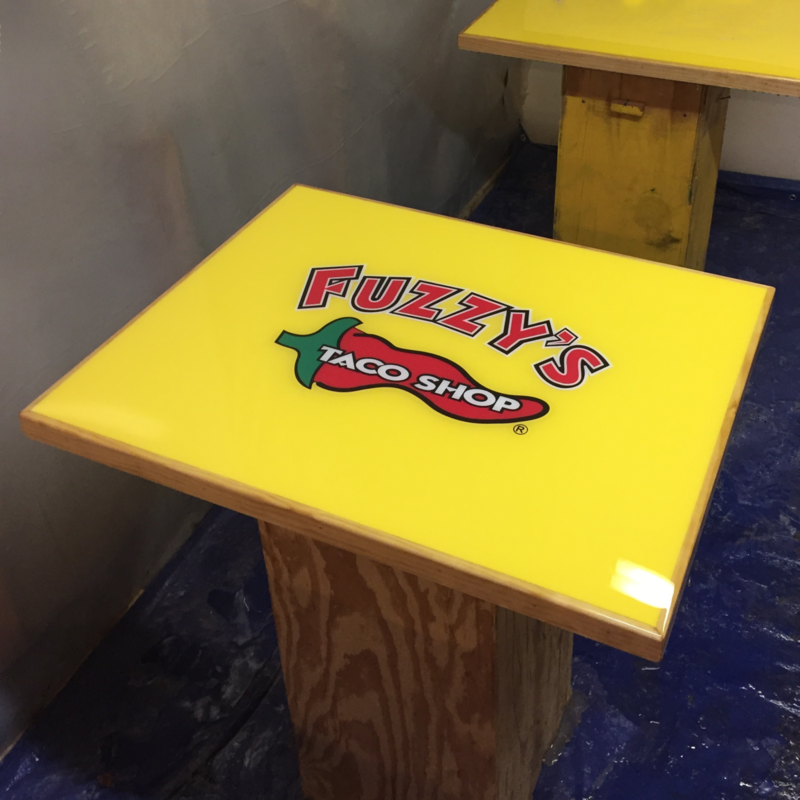 Then one day a long time client, Fuzzy’s Taco Shop, asked if we could create some restaurant furniture and the Cornerstone Impressions wood shop was born. Wood sign made for client Uptown Tavern. 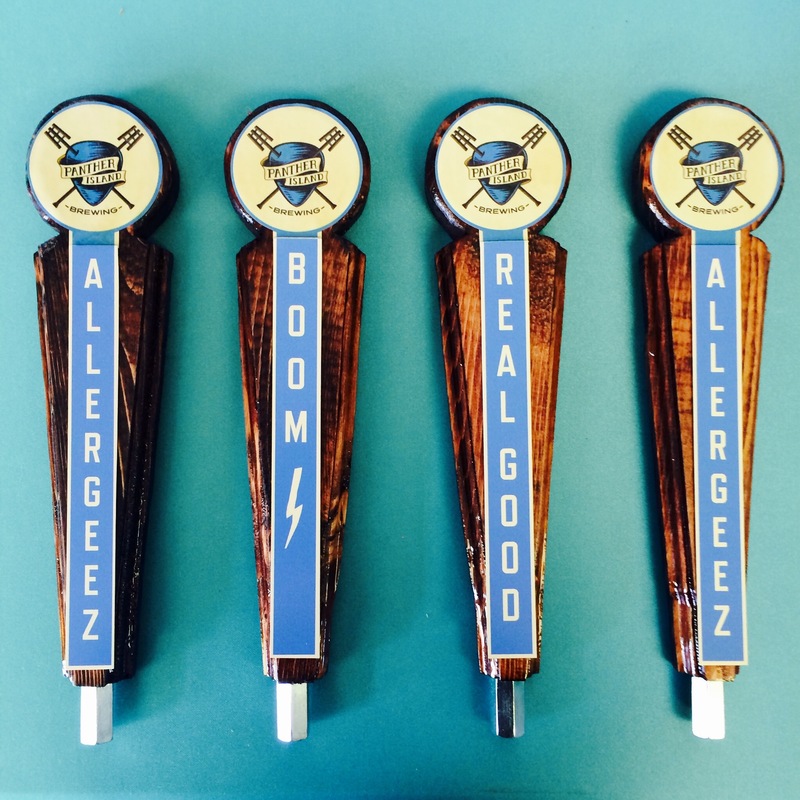 Custom beer taps made for client Panther Island Brewing. 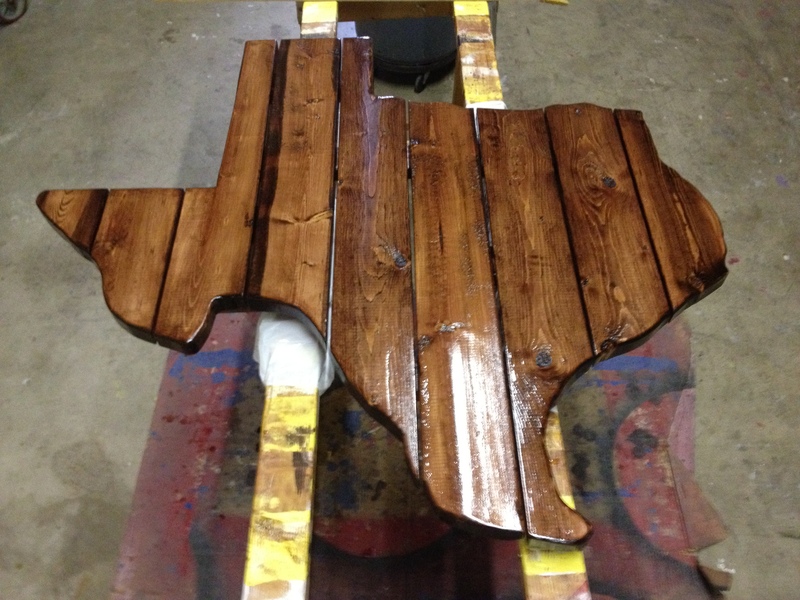 Texas table, made to order. Simply contact us for pricing info. 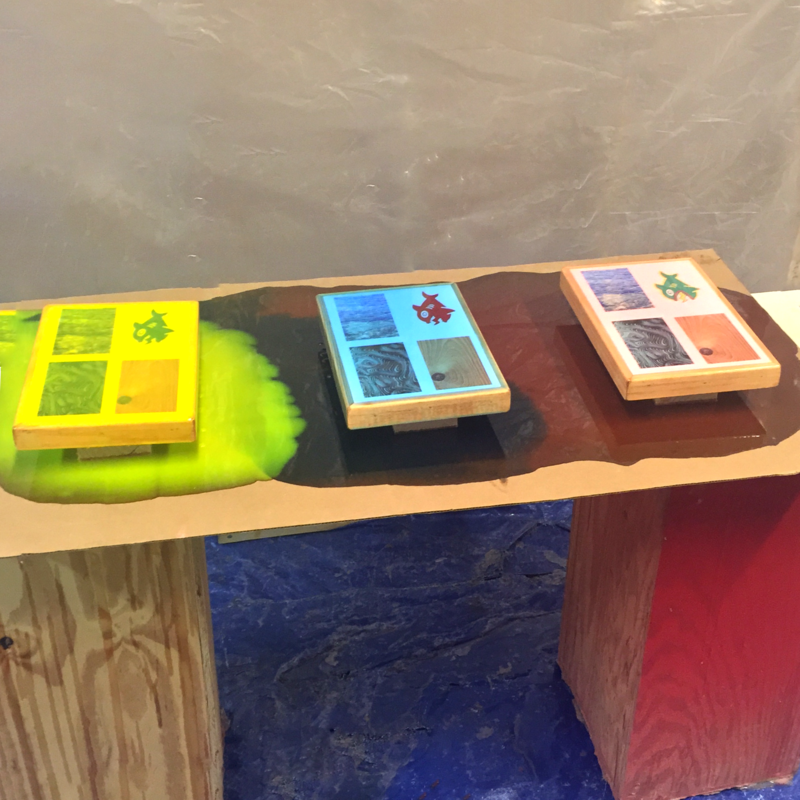 Colored resin samples in yellow, blue and red.